Tom Collingwood, 36, doesn’t think of himself as an extreme sports enthusiast but he’ll have to become one to complete Cain’s Quest 2014. Billed as Canada’s longest snowmobile endurance race, Cain’s Quest is a six-day, 3,300-kilometre journey through the wilderness of Labrador. It takes place every two years and this year, 30 teams from all over Canada have signed up. 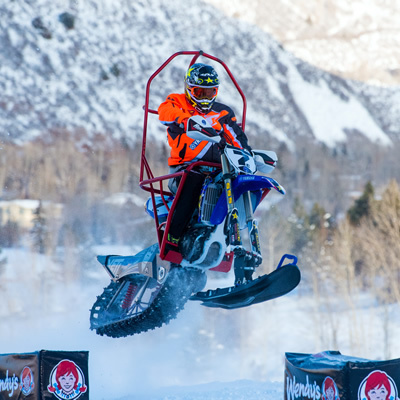 Collingwood—who is an avid mountain sledder from Whistler, B.C.—will be racing alongside his friend and teammate Wayne King from Happy Valley-Goose Bay, Labrador. It will be their second attempt. The duo entered Cain’s Quest in 2012 and nearly made it to the finish line. They were in a remote part of Quebec when the engine blew and it took them 18 hours to get back to civilization. It took awhile for the effects of the race to wear off. “My hands were like frozen claws for about a month afterward,” said Collingwood. Collingwood swore he would never compete again, but when the dates for Cain’s Quest 2014 were announced, he added his name to the roster. This year’s prize purse totals $100,000, ($50,000 for first place, $30,000 for second and $20,000 for third) but for Collingwood, the money isn’t the reason he is racing. 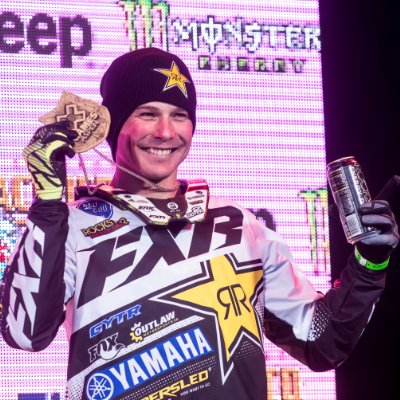 With entry fees, travel expenses, fuel and snowmobiles, it’s not uncommon for racers to spend more than $50,000 on Cain’s Quest. And it takes months to plan. Collingwood started prepping for the race back in June 2013. His preparations included modifying two new 2014 Arctic Cat XF 7000 snowmobiles to carry extra gear and run in deep snow as well as places where there is no snow at all. 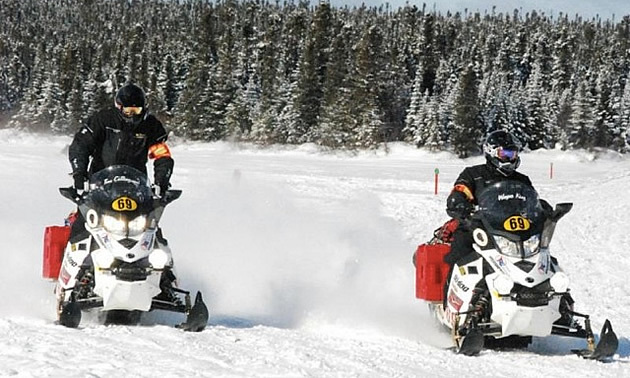 Collingwood and King have an idea of the conditions they will encounter but this year’s race will take them into a part of Labrador that they haven’t seen before. His family and friends will, of course, be tracking their progress online, and you can too. Visit the Cain’s Quest website and click on Tracking. The race starts March 1.